Henry Holt and Co., 9781627791380, 304pp. For fifteen years, bestselling author Michael Shermer has written a column in Scientific American magazine that synthesizes scientific concepts and theory for a general audience. His trademark combination of deep scientific understanding and entertaining writing style has thrilled his huge and devoted audience for years. Now, in Skeptic, seventy-five of these columns are available together for the first time; a welcome addition for his fans and a stimulating introduction for new readers. 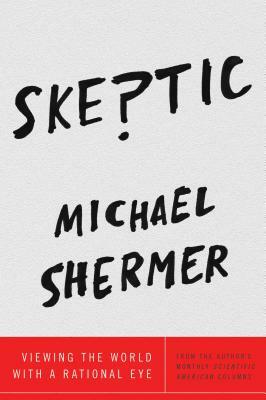 Michael Shermer is the author of The Moral Arc, Why People Believe Weird Things, The Believing Brain, and several other books on the evolution of human beliefs and behavior. He is the founding publisher of Skeptic magazine, the editor of Skeptic.com, a monthly columnist for Scientific American, and Presidential Fellow at Chapman University. He lives in Southern California.